We are happy to announce the grand opening of the Ceningan Yoga Shala. 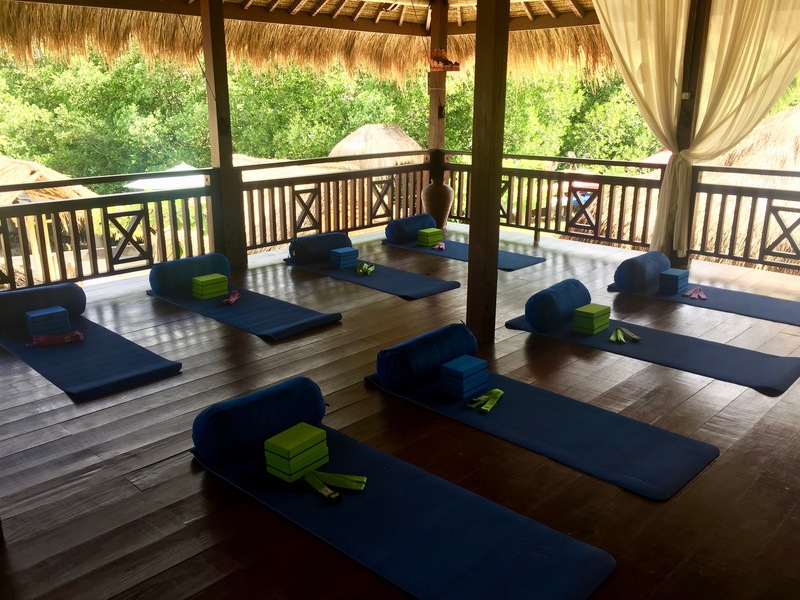 To celebrate this new addition to Ceningan Resort, we are offering FREE YOGA in January. Ceningan Yoga Shala, is located inside the peaceful, serene setting of Ceningan Resort. Our Shala is a lovely outdoor-air space overlooking the peaceful ocean channel and harnessing the gentle breeze flowing from it. Though you are welcome to bring your own mat, we do provide studio-quality mats, blocks, straps and bolsters for use during yoga sessions. Starting January 21 until January 31, our full-time E-RYT 500 (Asana, Meditation, Pranayama) & Certified Critical Alignment Yoga Therapist will run FREE Yoga session each day (See the schedule below). This will give you a chance to experience our programs first hand and meet the team. Gracefully awaken with a flow yoga class designed to balance mind and body through gentle postures (asana), controlled breathing (pranayama) and meditation. Start your day the best way possible by improving circulation and heart rate, boosting metabolism, building energy and increasing awareness. A multilevel class suitable for beginners to advanced. A class focused on semi-active postures aimed at opening the body, balancing energy and boosting immune functions. It targets connective tissues such as ligaments, bones and joints. As these tissues require time to respond to exercise the practice is based on long durations of anywhere from 1-15 minutes in the postures. It offers lengthening and a deep stretch that is the perfect compliment to dynamic activities that contract muscles. The slow nature of the practice provides time to improve breath and thought awareness as well as increase relaxation. Suitable for almost all levels of students. A yoga class designed to focus on body movements that flow in accordance to the breath. A steady but relaxed pace allows you to build energy and take time to notice more subtle aspects like the effects of the breath. Find steadiness, relaxation and mindfulness through this guided practice. The gentle nature of this class makes it suitable for students of all levels. A dry land yoga class designed specifically for divers. Improve and maintain the physical and mental capabilities necessary to enhance your overall dive experience. A combination of postures (asana), breathing techniques (pranayama) and meditation that help build physical strength as well as improve flexibility, lung capacity, self awareness and provide a greater sense of calmness and relaxation. Starting February 1st, our regular schedule will take effects. Please visit CeninganYogaShala.com form more information. Call us +62 821 45855934, info@CeninganYogaShala.com, or follow us on FACEBOOK for more information. Ceningan Yoga Shala at the Ceningan Resort, Nusa Ceningan, Bali.